Staffing, Retention and Training are essential to the operation of an Emergency Communications Center. APCO Project Retains is a tool that agencies can use to determine appropriate staffing levels based on call volumes, employee satisfaction, retention and training. Training for Public Safety Telecommunicators, initial and continuing is exceedingly important as they provide essential services to the public in an ever-expanding and rapidly changing public safety environment. Discuss the benefits of the APCO RETAINS program. Explain the contents and requirements of APCO Training Program Certification Program. Steve Leese has worked in public safety for the last 31 years serving as an officer with the Dearborn Police Department, and the Harbor Beach Police Department in Michigan. Steve also worked as the 911 Director for Huron County and Eaton County Michigan before moving to APCO International as a Communications Center Specialist in 2013. Steve is a University of Michigan graduate and served in the United States Marine Corps at the White House and Camp David. Steve served as a Certification Subcommittee member of the Michigan 9-1-1 Committee. 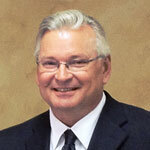 He is also a past president of the Michigan Communications Directors Association, and an APCO member since 1997. Rick began his communications career in 1996 with the New Hanover County, NC Sheriffs’ Department. He is currently the Communications Center Supervisor for the Town of Apex NC Police Department. 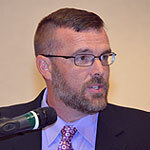 He is an active member of the NC Chapter of APCO where he is the current Chapter President. In addition Rick is also the Chair for the APCO Agency Training Program Certification Committee formerly known as Project 33 as well as a member of the APCO Standards Development Committee.